Gary Schlatter is a talented photographer who shares a gallery of amazing work featuring some night-time shots that will take your breath away. Be sure to check out the rest of his gallery as well, there is some excellent work there. 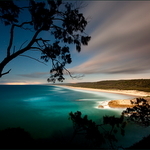 This entry was posted in Photography and tagged gallery, landscape, nightscape, photographer, Photography by bahgheera. Bookmark the permalink.